The Autumn/Winter knitting season has started. 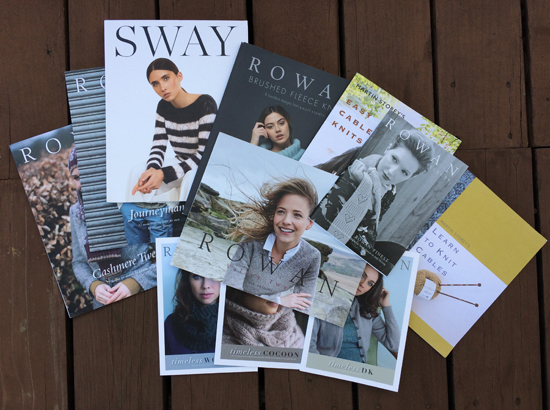 I know this because a great big package turned up on my doorstop containing all these new pattern books from Rowan. Over the next few weeks I will take a look through them and choose a favorite from each book. Here’s a look at the first four. Cashmere Tweed is a new yarn from Rowan. It is a blend of extra fine merino and alpaca and is available in 8 shades. This yarn is absolutely gorgeous so I am a little disappointed by the designs. All a bit baggy and shapeless for me. Although I do like the hat, called Wilkie, on the front cover and would make it in Granite (blue), Smoke (grey) and Cinder Rose. However, as this yarn knits up like a DK weight I could choose from a multitude of DK designs that require a classic tweedy look. Valley Tweed is a another new yarn from Rowan. 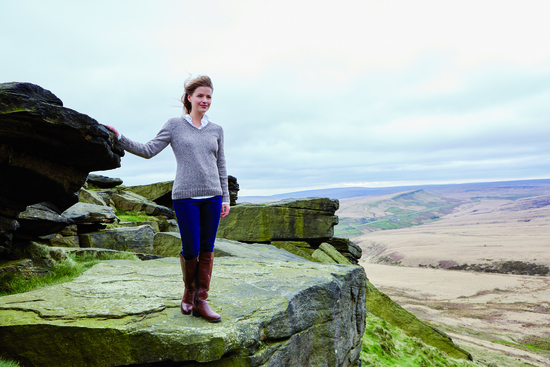 It is spun and dyed in Yorkshire, England, the home of Rowan and is a traditional 100% wool tweed yarn. It is a very lofty yarn due to the special way it is spun and is available in 10 shades. Some of the patterns are a bit on the shapeless side for me but a couple are fitted and would suit me better. Maybe I would just go for the plain and simple like the one on the front cover and pictured below called Dearne, and knit it in the deep teal blue shade called Janet’s Foss. These patterns are designed using Hemp Tweed, Felted Tweed or Felted Tweed Aran. I asked my husband Neil which of these he liked and unfortunately it took him a long time to decide on one. In the end he went for Caine, which is knitted using Felted Tweed. He would prefer it in the blue shade, Seasalter. Rowan Finest is a blend of extra fine merino, cashmere and royal alpaca wool. 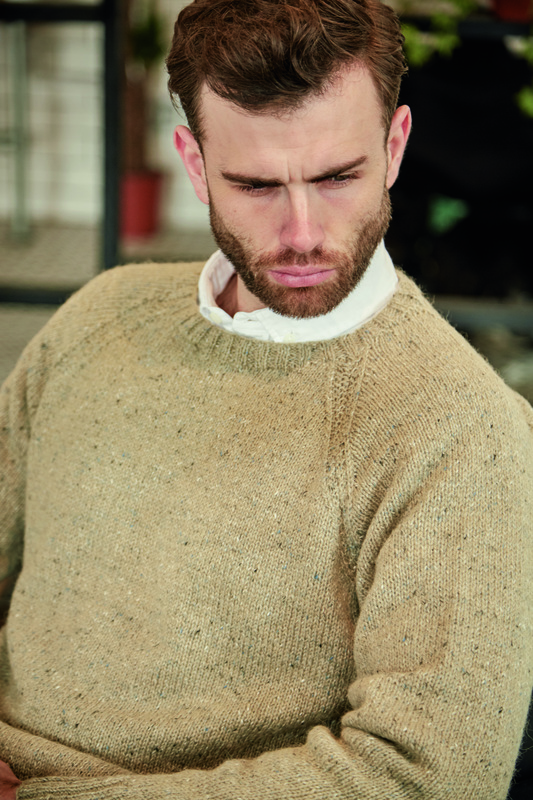 It is soft to the touch, very comfortable to wear and knits to a 4ply tension with great stitch definition. This is a Rowan Select yarn meaning it is only available for a short time. Once it’s gone, it’s gone. So, if I did manage to get some I quite like the fair isle design called Asbury, although I would have to make it much longer. It is a shame the book and the patterns on the website are only in black and white making it hard to imagine what the fair isle pattern is like in reality. 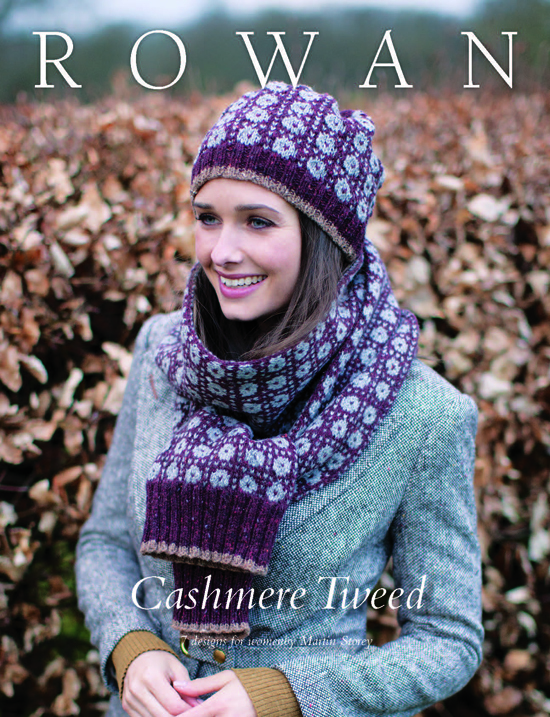 By the way, all these Rowan Finest patterns are free to download from the Rowan website. If you would like to explore these books, patterns and yarns for yourself, click on the links below…..
….and then maybe you can let me know which are your favourite designs? This entry was posted in Book Review, Rowan Yarns Information and tagged Amy Herzog, cable stitch, Cashmere, Cashmere Tweed, Felted Tweed, Journeyman, Lisa Richardson, Martin Storey, Rowan Finest, Sarah Hatton by Esther. Bookmark the permalink. Love the short cropped cardigan – the model looks great and it doesn’t look as wintery as the rest of the days – lets stay with summer/autumn for a little longer. Summer is still here in Colorado….hope it is with you too Jackie?